Nuts on airplanes: what’s the big deal? As our flight back to the UK prepared for take off on Tuesday, I was reassured by the now-familiar (to me) announcement that as there was a passenger on board with a severe nut allergy they would not be serving food containing nuts during the flight, and would appreciate it if other passengers refrained from opening any nut products they might have brought on board. It’s the best I can possibly hope for when I have to fly, but I’m pretty sure most of my fellow passengers would have had no idea how important it was for me to hear those words. I can always sense a wave of incredulity pass over the cabin – sometimes people are vocal about it, calling the whole affair nonsense, but even when they stay silent I’m not convinced they really understand. And why would they? If you (or someone you love) do not suffer from a severe food allergy then there is no reason for you to see why the prospect of being exposed to the allergen is quite so scary, or why that risk is amplified quite so much when flying. Making an announcement that impinges on the freedoms of other passengers might seem over the top, just health and safety gone mad. And that is why I have written this post. For me, there is nothing much more terrifying than the prospect of being trapped in a sealed metal box 40,000 feet in the air surrounded by several hundred people simultaneously opening packets of nuts. Because, like hundreds of thousands of other people in the UK, nuts are my Kryptonite: contact with just the smallest amount would put me at risk of becoming seriously ill or even dying as a result of anaphylactic shock. Fortunately in the UK and Europe it is rare now for an airline to hand out free nuts to everyone on board. But nuts are still sold on most flights, and nuts are an increasingly popular snack option for health-conscious people to bring along themselves, so I don’t feel I can relax entirely. Anaphylactic reactions to airborne nut particles are rare, but certainly not unheard of. There was a high profile case last summer where a four year old girl collapsed when a nearby passenger began eating a bag of nuts on their flight, and I have heard several similar anecdotes from people with nut allergies. For my part, I have been in situations where I have been surrounded by nuts in a confined space and have begun to feel the tell-tale signs of the onset of a serious reaction: several times at bars or parties where bowls of peanuts sat on every table, and once on a ferry from Dar es Salaam to Zanzibar where the snack of choice for seemingly everyone on board was roasted cashews. On each of these occasions I have had a choice – to stand on the deck of the ferry, or to go to another bar – but if the tingling mouth and tightening throat began to set in on an aircraft there really wouldn’t be anywhere I could go. So for me flying is about minimising risk. I try to only travel with airlines who will make the concessions that EasyJet did when we flew from the UK to Crete. For EasyJet, it is part of their policy, as it is for Flybe, WestJet and Icelandair, all people I have enjoyed flying with over the past couple of years. With many other airlines you are at the whim of the cabin crew as to whether they are prepared to take steps to make the flight safe. And with some, such as British Airways, their policy is the complete opposite: they categorically refuse to inform other passengers that there is someone with a severe allergy on board. I had a particularly difficult experience four years ago, returning from honeymoon in Vietnam. We were travelling with Qatar Airways, and prior to our trip had gone through all the proper channels to ensure that I would not find myself in the nightmare situation I described above. Our outbound flight was perfect – a polite announcement was made, alternative snacks were served, and I filled in a glowing feedback form before leaving the plane. But in the two weeks we were away they changed their policy. On arriving at the airport in Ho Chi Minh we were told that it was now the decision of the crew whether or not to make concessions for my allergy, and that before I was allowed to board I would have to sign a disclaimer absolving them of any responsibility if I were to get ill or die on the flight. We didn’t have much choice at this point, so I figured I’d just have to hope the crew were understanding. As we boarded the plane I had the conversation, and they reassured me that they would not be serving nuts as snacks and would make the announcement to fellow passengers. Something was niggling at me, though, as we went to take our seats, and I asked what meal they were going to serve. Turns out it was Chicken Satay – so I would have to deal with the fragrance of warm, minced peanuts wafting through the cabin as everyone took the lid off their meal tray. Needless to say we didn’t get that flight. There was of course no way they could have changed the meal at such late notice – though I had informed the airline of my allergy months before. So we booked into a hotel for another night, and tried to figure out some other way to get home. It was Eid, making getting hold of anyone at the Qatar head office almost impossible, but we eventually got reassurance that they would be able to fly us home the next day under the initial conditions we had agreed. Except when we were at the gate, just after the head of the cabin crew had sought me out and reassured me that he would be doing everything to make the flight safe, the pilot came over and told me that he wasn’t prepared to take the risk of transporting someone with a nut allergy and I was not allowed to board the plane. We got home eventually, two days late for my new job, with another airline and at great expense. In the weeks that followed I tried to pursue compensation from Qatar, but they were unflinching in their conviction that they had done nothing wrong. I even looked into legal action, but was advised that any lawsuit would be very costly and due to the might of the airline’s legal team had little chance of success. I was left feeling like I had been mistreated and ill-informed, and ultimately discriminated against because of my allergy. Recent rulings have decided that nut allergy can in fact be considered a disability, and thus discrimination against those who suffer from allergies should be treated as seriously as you would any disability discrimination. Yet a surprising number of airlines (and passengers) seem to feel that it is those who are asked if they could temporarily refrain from eating nuts that are being discriminated against – an attitude that the many similar stories from those with nut allergies attest to. I don’t really understand why an airline would knowingly want to take the risk of someone going into anaphylactic shock on board one of their planes, or why they would want to make life more difficult for someone with a long-standing medical condition. In the States, where many airlines do still hand out free nuts to everyone on board, it is hard not to link the brick wall faced by passengers with allergies to the powerful lobbying groups attached to the multi-million dollar peanut industry. I could never consider flying with an airline which still has nuts as an intrinsic part of its meal service. But even on airlines where my nightmare is less likely I have to be careful – after all, there is nothing to stop all of the passengers surrounding me deciding that they want to snack on nuts if there is nothing to indicate to them that this might be a bad idea. It is this situation that makes EasyJet’s approach so invaluable to me – I know they cannot guarantee me a completely nut-free flight, but I really appreciate the fact that they try their best to keep me safe. I suppose ultimately for someone with a severe nut allergy, I really do have some cheek. Not only do I like to eat out from time to time, but I like to be able to travel to places that can only easily be reached by air. There are those who would say that, given my health condition, I should just avoid these experiences, but I beg to differ. What do you reckon? Am I being unreasonable? Or do commercial airlines and their passengers have a responsibility to create an environment for travel that is safe for those with allergies? I’d love to hear your thoughts! 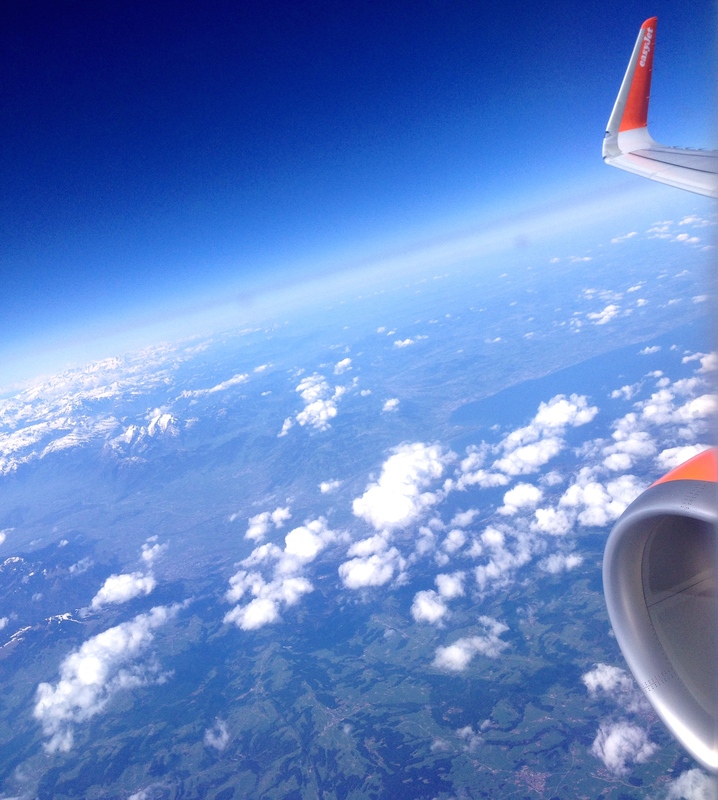 This entry was posted in Sophie is pondering, Sophie is travelling and tagged anaphylaxis, discrimination, EasyJet, flying, nut allergy, Qatar Airways on April 9, 2015 by sophieblovett. I frequently take nuts with me as a handy protein fix when I travel. But I can assure you that they do not see the light of day if I know there is a nut allergy suffer nearby. Not only do my husband and daughter both have nut allergies (not to the kind of nuts I eat, btw! ), but I have witnessed two people experience anaphylactic shock in my life: one child and one adult. Having had to administer an emergency Epi-pen, as I have, leaves you with a profound respect for people who live with that possibility on a daily basis. It was terrifying and has stayed with me. I am so disappointed to hear about BA’s policy, as I fly them frequently, along with my nut-allergic family members. Your post is a good reminder to always be vigilant, always speak up, and always keep our emergency meds handy. Oh Sophie, I really feel for you. I can’t believe those airlines could be so lacking in understanding. What are they thinking getting people to sign a disclaimer? If someone were to suffer an attack during a flight and they did nothing about it, that would be outrageous. It is such a serious condition to live with and I still can’t believe people don’t take it seriously. On the other side of things, there’s some really good research programmes looking into the causes and cures. There is the possibility that individuals like yourself could one day become de-sensitised to nuts. Fingers crossed that will be an option for you.